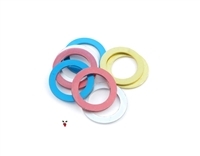 Crankshaft washer ring/shim for Sachs and Vespa cranks. You will absolutely need this to get your spacing right. 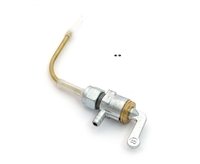 Top of the line quality Malossi air filter for Vespa SHA carburetors. OEM 18 tooth freewheel for kinetic and vespa rear wheels. This is a regular clockwise thread french threaded freewheel. OEM 19 tooth freewheel for kinetic and vespa rear wheels. This is a regular clockwise thread french threaded freewheel. Flywheel nut for kinetic and vespa freewheels.